G-SERVER Review 2019: Is G-SERVER a Good Hosting? Slovenian web hosting company G-Server was founded in 2007. They focus on providing reliable hosting with top quality infrastructure. Slovenian company G-Server was founded in 2007, and they focus on providing reliable hosting with top quality infrastructure. Their website can be switched between the Slovenian, Croatian and English languages. Although it’s not clearly advertised on the website, their live chat operator advised me that their shared hosting plans have an uptime over 99.999%, which is not backed by a guarantee or service level agreement. And although they don’t own their own data center, they have rented part of a center in Ljubljana, which they operate. Soon, they plan to have separate 10Gbit/s optical connections in other countries. G-Server offers four shared hosting levels, called Premium, Business, Enterprise, and Professional. The plans all include unlimited download, unlimited domains, unlimited MySQL databases, and unlimited email accounts. The Premium plan includes 5GB disk space, Business includes 15GB, Enterprise 25GB, and Professional includes 40GB. Additional features offered on all shared hosting plans include an SSL certificate, anti-spam protection, and a Plesk control panel. Their checkout flow also includes the option to purchase a Weebly website builder, which is a great feature for beginners. As well as shared hosting plans, G-Server also offers four virtual private server packages for when you’re ready to scale your online business to the next level. These packages use robust IBM servers with Dell and Cisco switches. Unfortunately, the prices are quite high, even with the deep discount they’ve applied across all plans. These premium prices are likely only to be justified if you’re local to Slovenia and need servers located locally. Plans can be bought on monthly, quarterly, semi-annual, annual, and biennial terms, with no discount for purchasing a longer-term up front. At the checkout, it becomes apparent that there are quite a few extra costs. 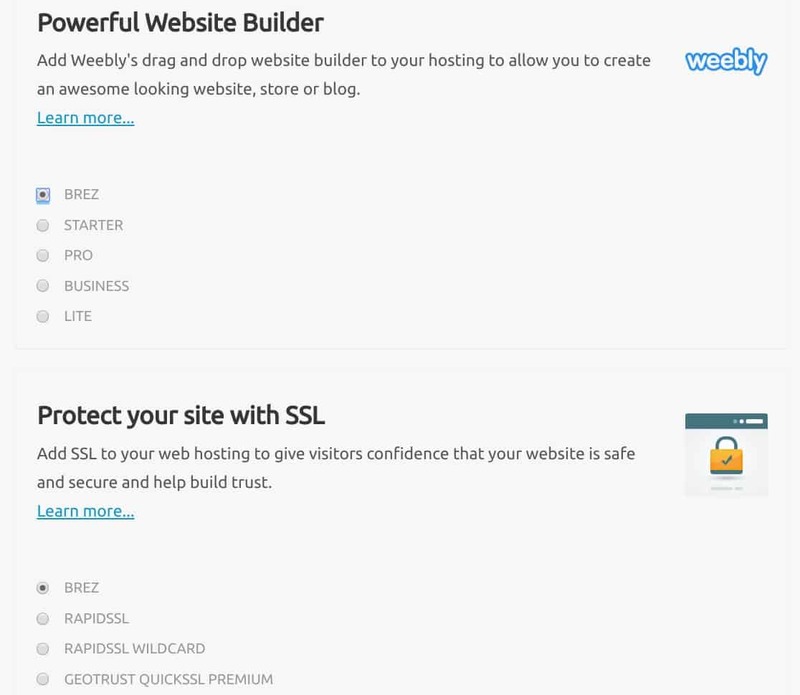 SSL certificates, domain registration, and the Weebly website builder all cost extra. Although G-Server’s 24/7 technical support is only available by live chat, email, and ticket, I have to admit that it’s excellent. Every time, I have found the live chat operator to be highly responsive and immediately helpful. Great work G-Server! G-Server offers its comprehensive web hosting plans from a no-frills website. They offer high resource quotas, 24/7 support, and an excellent uptime guarantee. Wondering how G-SERVER stacks up against other Web Hosting companies? Enter any other Web Hosting company and we will give you a side-by-side comparison.